Suitable for wet and dry activities. Specially designed to give you comfort while performing outdoor and indoor activities. Received my order yesterday. Super fast, takes only 2 days to arrive Singapore, Thanks for the awesome hijab created, I feel breezing while jogging or brisk walking. Now, nothing to worry if i sweat so much because the material is breathable and light. Thank You! 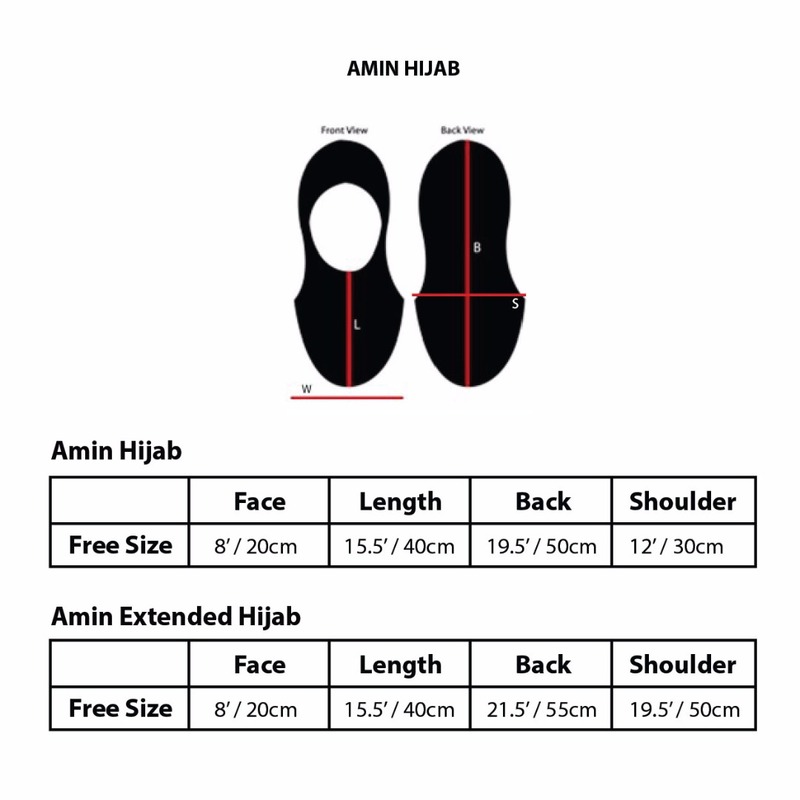 i like Amin Hijab so much. It fits my head and face so well. My friends said, this hijab enhance and suitable for my face features. It so light and comfy. thank you very much for this brilliant design! Good for running, trailing, and any other sport. The design gives you the flexibility to move your arms and hands as the hijab falls nicely on your shoulders.